Albert Einstein said: "Creativity is intelligence having fun." We are all born creative, but as we grow up, judgement and criticism cause us to doubt ourselves and the fun disappears. We're told there's a right way to be creative, and what we are doing is inadequate or just wrong. This leads to inhibitions and fears that shut down our creative flow and separate us from our inner wisdom. We all have our unique creative expression. Creativity is about allowing yourself to play, feeling safe to freely express yourself, and being fully engaged in the creative process without worrying about what the finished product will look like and what others will think of it. 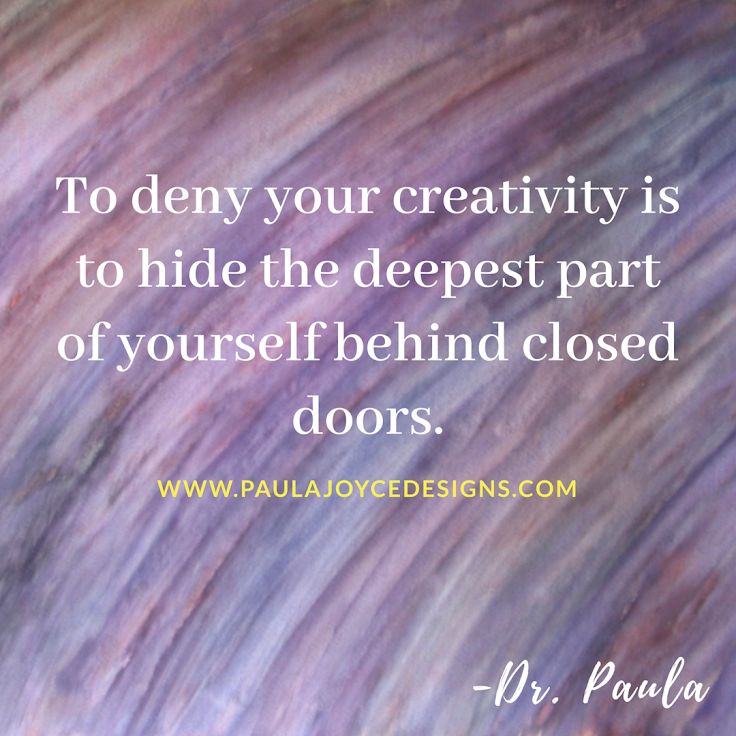 To deny your creativity is to hide the deepest part of yourself behind closed doors. It's time to free your creativity and in doing so, free yourself!